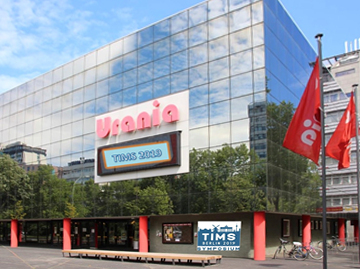 For the German Symposium Organising Committee it is a pleasure to inform you about the present status the organisation of the 15th TIMS Symposium (Berlin2019) to be held in the city of Berlin in Germany. The Symposium will take place from the 17th to 25th of August 2019. The theme of the Symposium will be “Mills in history and archaeology”. 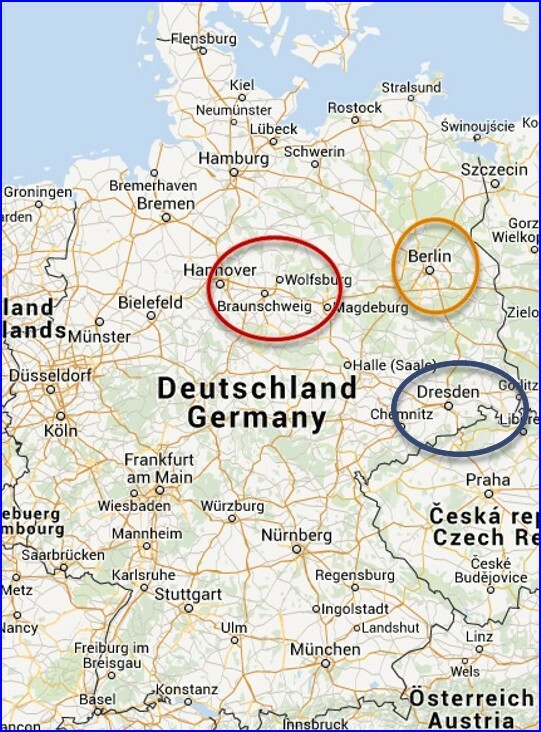 In addition there is the opportunity to participate in a 4-5 days pre-tour to the south-east of Germany (Saxony), as well as in a 7 days post-tour to the middle of Germany (Hannover). The exact length of the tours will be made known on the TIMS website, as planning the tours is still in progress. As part of the Symposium a visit will be organized to the mills in Berlin and Brandenburg and to important museums at Berlin. In 2019 the Symposium will take place in the city-centre of Berlin. The paper sessions and presentations will be held in the conference centre of the hotel. The hotel itself is in walking distance to all public transport stations. Shops, restaurants, museums etc. are all at the doorstep. We call on all TIMS members and others (*1) to present their molinological research as a formal paper and/or as an informal, short contribution. Papers on all molinological topics are welcome. Our theme will be: “Mills in history and archaeology”, so we will appreciate papers on this topic. The deadline for submission will be the 1st of April 2019. Please read and follow the “Formal Paper instructions”, which can be found here. The symposium participants will get the possibility to download the papers in advance and are expected to have read the papers; therefore, authors will receive only 20 minutes for presenting a summary of their paper and 10 minutes for engaging in discussion with the audience. At the Berlin2019 Symposium we will have an “Open to the public presentation day”. We are looking for 4 or 5 key speakers to give a presentation to large audience (200 +). On our first day of the Symposium, 18th Aug. 2019, we use the URANIA (*2) for one day “Public day of Molinology”. These presentations are aimed to attract large audience from all over Germany, to make contact to existing and new members and to make the public aware of how important it is to save mills of any kind as significant technical/historical monuments. For this unique symposium day we are looking for outstanding presentations on research work. Time for the presentation is 60 min. (including 15 min discussion) and should be used to present videos and animated pictures, drawings and documents about the work of research. Only for this day, the presentation can be held in English or German. We will provide professional, simultaneously translation to the audience. In order to attract a wide audience (not only from Berlin), we will make this event for the whole day “Free of charge/entrance”. This event will be sponsored by various mill organisations. For informal contributions we expect in advance detailed information (paper or presentation file) on the subject. The time required to present the informal paper: maximum 20 minutes including discussion. Deadline for submission will be the 1st April 2019. All contributions must be in English language! Type of planned presentation: formal paper / short, informal presentation, key-presentation. Deadline is 1st April 2018. The Organising Committee will decide on the acceptance of submitted papers and informal contributions, and its decision will be final. All papers are published after the symposium in the TIMS transactions. Please make sure, that your pictures and drawings have the copyright for the TIMS publication! It is impossible to have all details about the Symposium 2019 available at this time. Any new information will be published on the TIMS website. Should you have any questions, please contact the Symposium Chairman. We look forward to meet you in Berlin. *1 Non TIMS members: we would like to encourage students from all over the world to present their paper (with a subject to mills and molinology) to a wide audience, at our symposium. Please contact the symposium chairman for the possibility of financial support to attend to the meeting (sponsorship). *2 URANIA: Urania Berlin – founded in 1888 – is an event and science centre where new facts and findings from different domains like the natural sciences – for example medicine or health – and the humanities – for example politics and culture – are presented to the public. There are different actions like lectures, plays, concerts, seminars, discussions and performances. More than 250.000 people visit Urania Berlin every year.